At The Omaha Photo Booth Company our photo booths look great! But sometimes you just need a more personalized photo booth experience. Luckily, our team can brand your photo booth(s) in anything your heart desires. We can custom wrap your logo all over the photo booth and even on the back wall! Share Your Pics Wherever You Are! Lookout Instagram, Facebook, and Twitter! 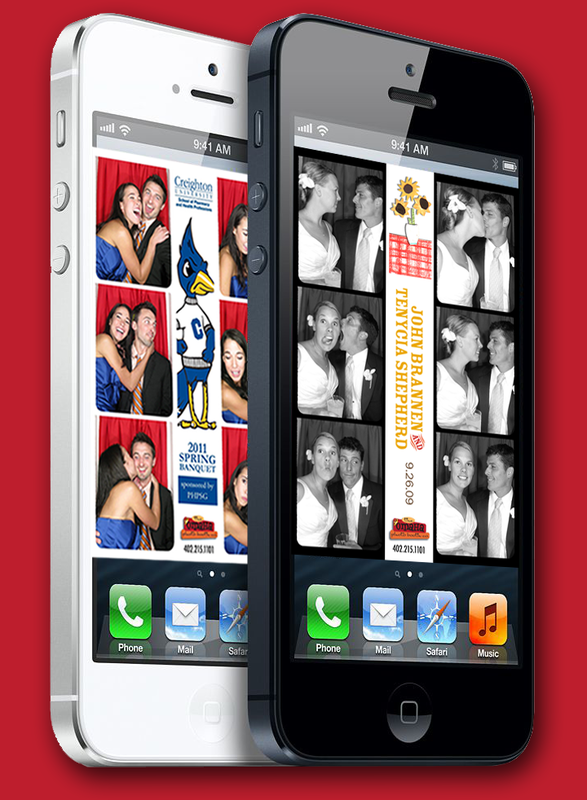 Our photo booths' allow guests to access their pictures from their smartphones or computer to use on social media or email. Let your event live on well after the photos are done! Our hilarious selection of props spice up the fun! The diversity of our prop bins makes every event unpredictable. From tiaras and boas to animal noses, funny hats and glasses, your guests' creativity will shine. To rent our awesome photo booths at your next event call The Omaha Photo Booth Company at 402.840.2273 or email us here!